“Dance is for everyone,” the Performing Arts Workshop website states. That message strikes at the core of Artistic Director Emily Miller’s mission for her studio: to invite all to the dance floor. She sees that culture, with its emphasis on thinness, shifting and is committed to doing her part in promoting body-positivity as she teaches both ballet and other dance forms. Performing Arts Workshop, or PAW, offers an array of classes and training suitable to children and adults of varied abilities — from the curious beginner to the professional dancer. Current classes include Pre-ballet, Beginning Hip Hop, Advanced Jazz, Level 4/5 Pointe, Advanced Adult Modern and more. In addition to Miller, 13 instructors teach classes on a part-time basis at PAW. There are, on average, about 55 adults and 120 youth from ages 2 through 18 who take classes during any given semester. The organization offers performance opportunities, including the Nutcracker and an annual spring show. Parts of those performances are also shared with elder-care facilities in the area. While PAW has been around since 1996, leadership of the Encinitas-based studio space changed hands in 2013 when retiring founder Leslie Craig-Foxworth asked Miller — who had trained at PAW from sixth through 12th grade — to take the reins. When she took over the studio, Miller was in her late 20s and had received her Bachelor of Fine Arts in dancemaking from Columbia College Chicago after attending San Dieguito Academy. She had also danced for Kate Corby & Dancers in Chicago and been an understudy and done other freelance dance projects in New York City. It is that very fear, however, that drives Miller to work hard, ask questions and constantly seek growth — qualities that serve as assets to any instructor. As for the business side of the ledger, Miller smiled and described herself as more creatively driven. “I have difficulty with linear thinking.” But she has pushed herself to cultivate her business acumen and has watched PAW’s gross revenue and number of clients double over the course of the past three years. 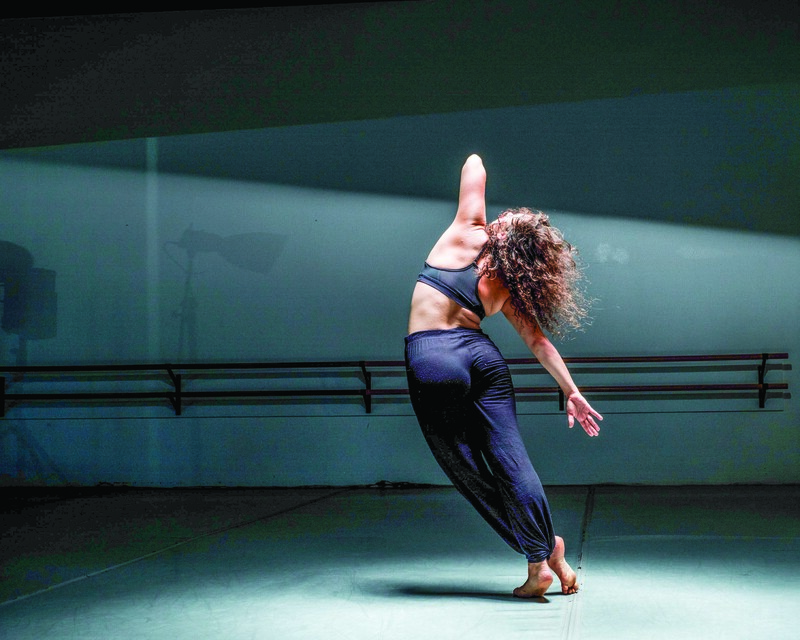 In order to continue developing as a dancer outside the realm of her own studio, Miller has also joined LITVAKdance, a repertory company in Encinitas that specializes in contemporary dance. The organization’s next performance will be at White Box Theater in Liberty Station in Point Loma on Saturday, Jan. 19, at 7 p.m. and on Sunday, Jan. 20, at 2 p.m.
Called “Dancing in the Dark,” the free show will feature PAW’s advanced students as well as some of its adult dancers and teachers, including Miller. The Roger Anderson Chorale, which is a 20-piece choir, and Grossmont Symphony String Quintet will provide the musical accompaniment. PAW is located at 1465 Encinitas Boulevard, suite A102, its home since 2015. Its prior locations were the current site of the Swami’s bookstore, Self-Realization Fellowship Books & Gifts, and the space now occupied by Chin’s Szechwan. Information on Performing Arts Workshop’s performances and classes can be found at https://www.dancepaw.com/.